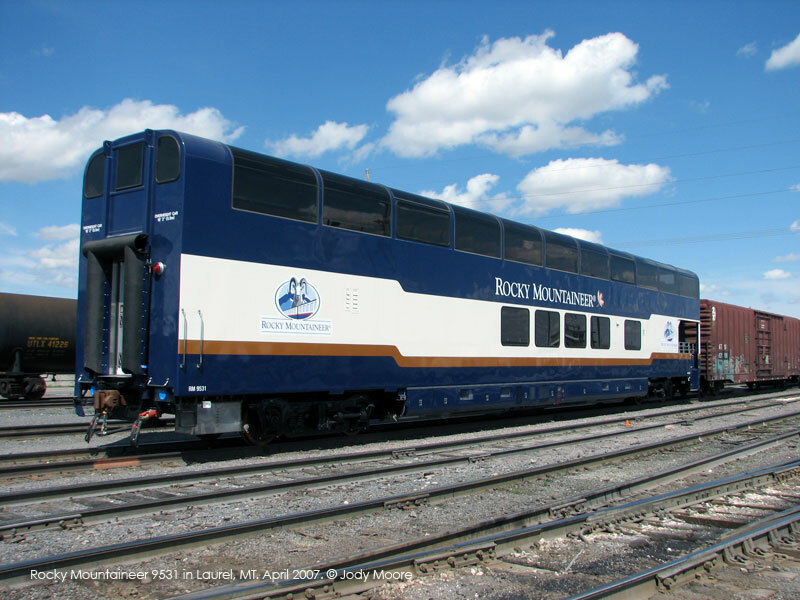 ADA Features: 1 ADA Restroom, ADA seating in dining area, ADA lift to upper level, ADA accessible aisleways, wheelchair tie-downs on upper level. 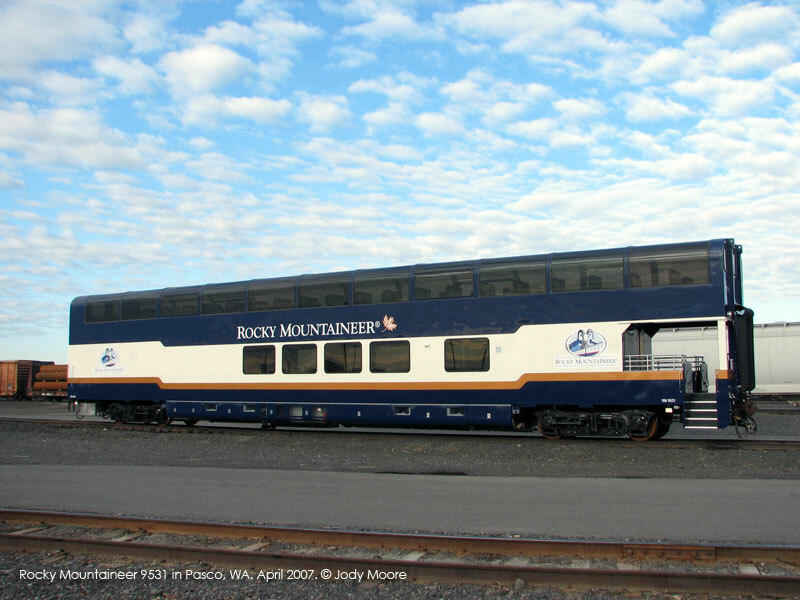 Notes: Rocky Mountaineer's newest Goldleaf dome is a copy of the three cars delivered in 2006, RMV 9525, 9527 and 9529. As I predicted, the extra length and seating have created an almost ideal design for RMV. These cars reflect the styling adopted with the 9521 and 9523, most noteably the extension in height to 18'1", and the adoption of the larger dome glass. 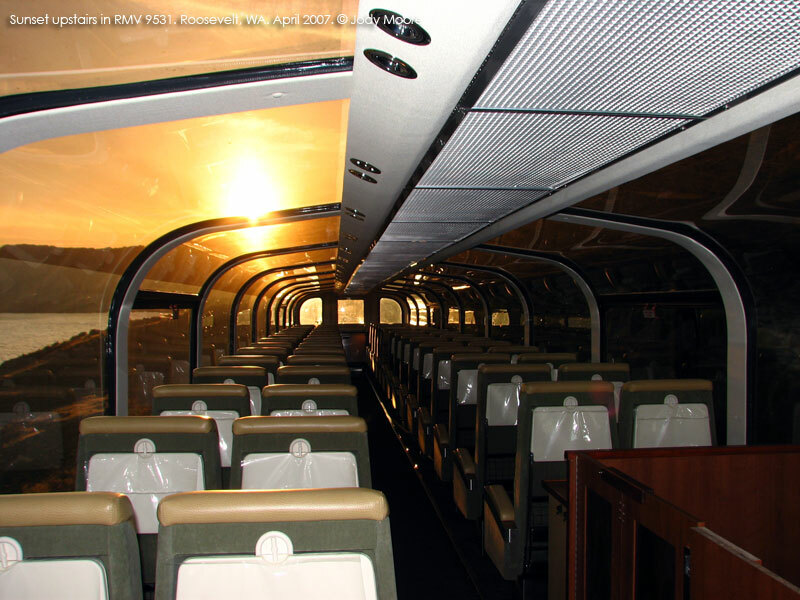 The new cars are classified as "B" cars because they feature an observation platform. However, an expansion to 89 feet in length means that they will sport a full galley as well. Seating has also expanded to 74 dome seats and 38 dining room seats. 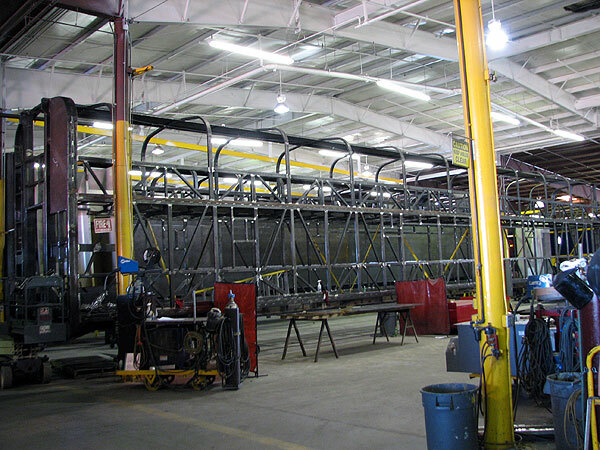 The skeleton of RMV 9531 on the construction floor in Fort Lupton. August 2006. Photo by Jody Moore. Click to enlarge. 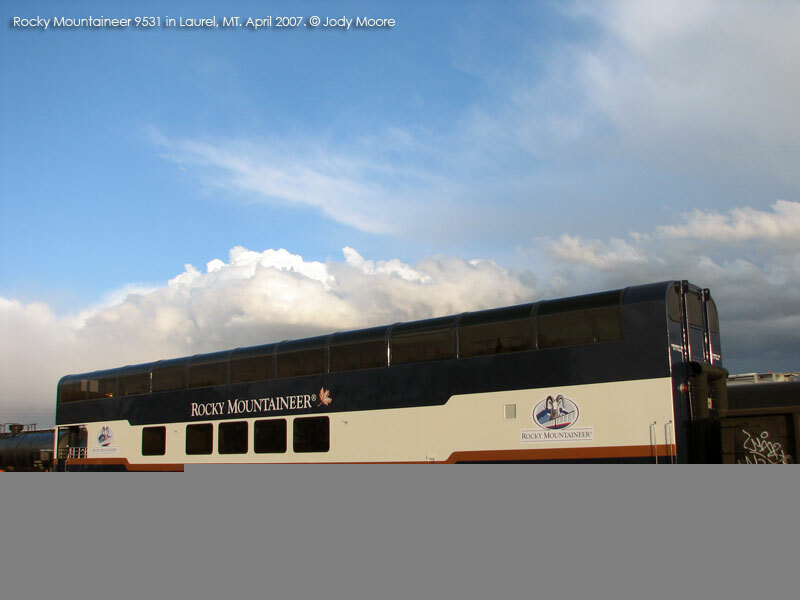 RMV 9531 in Laurel, MT on its way to Canada. April 2007. Photo by Jody Moore. Click to enlarge. A view of the 9531 at sunset in the Columbia River Gorge near Roosevelt, WA. April 2007. Photo by Jody Moore. Click to enlarge. 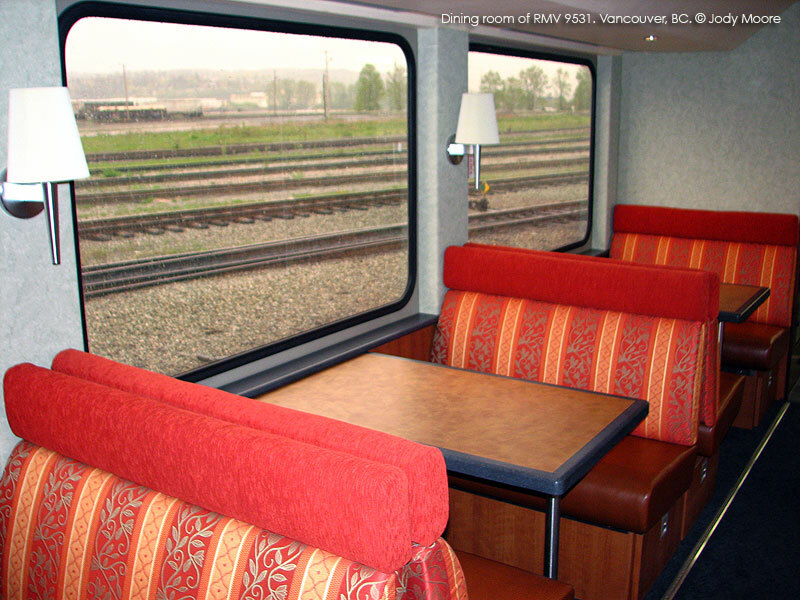 The dining room of 9531 is shown in this view at CN's Thornton Yard in Vancouver, BC. April 2007. Photo by Jody Moore. Click to enlarge.